WOULD YOU LIKE TO TAKE YOUR PASSION FOR FITNESS TO WORK WITH YOU? 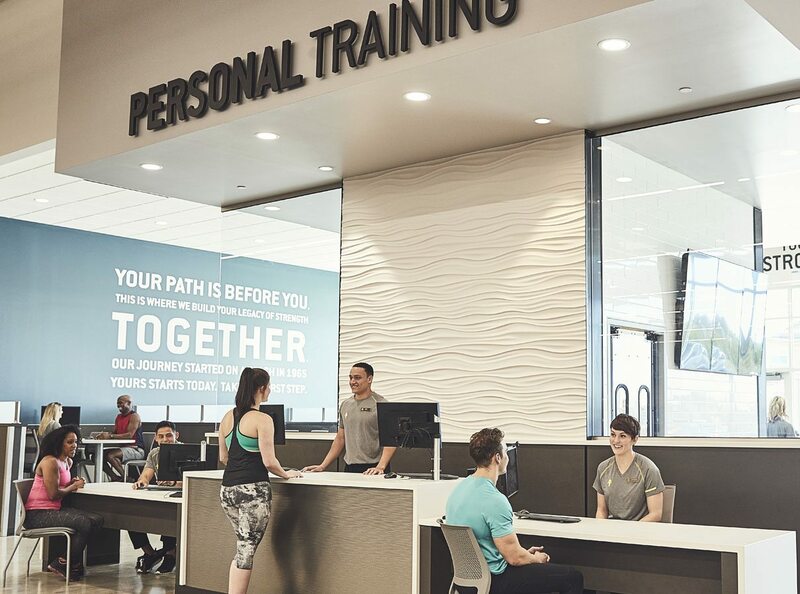 Our General Manager Training Program is immersive, hands-on and prepares you to manage your very own Gold’s Gym. From financial analysis to leading a team, we’ll equip you with the knowledge and skills you need to succeed in your new and exciting career in fitness. Your training will include real-time assignments and a designated coach and mentor to help guide you along the way putting your learning to use immediately. No two days are the same at Gold’s Gym, so get ready for a rewarding adventure! “My advice to anyone in the GMIT role: Get ready to roll up your sleeves, socialize, learn and have fun!” — David, General Manager Training Program Graduate. Successful GMIT’s are hyper focused, internally motivated and team-first oriented. They know that results don’t just happen, it takes hard work to achieve them. Our General Managers wake up each day with the opportunity to help people achieve their potential through fitness — and we empower them to do it. In addition to having a great sense of purpose, our healthy compensation plan and fun team environment result in a truly rewarding career. Our General Managers balance many responsibilities within an environment of ongoing change. Learning how to operate a club while taking care of urgent business needs can be challenging. The role of a General Manager requires a hardy mindset, great people skills, and strong time management. If dexterity and organization are among your key strengths, this is a wonderful opportunity to consider. Get a first look into week one through the graduation from our GMIT program. Meet your Management Training Mentor (MTM) — an experienced GM who will serve as your program mentor. Work with your MTM and District Manager to design your program goals, and create a custom development strategy. Meet your Sales Captain — your district’s sales department expert. Work with your Sales Captain to learn the ins and outs of our sales programs and processes. At the end of week two, check in with your program support partners. Meet your Fitness Captain — your district’s fitness department expert. Work with your Fitness Captain to learn how to execute our industry-leading fitness programs to the highest standard. Meet your Operations Captain — your district’s operations department expert. Work with your Operations Captain to develop competence in all areas of the fitness club operations. Meet and work with your district’s Facilities, Human Resources, and Marketing leaders to acquire the skills and knowledge you’ll need to keep your club in tip-top shape, engage Team Members effectively, and execute winning marketing strategies. Put it all together when you fill the role of General Manager by running a Gold’s Gym club for 1-2 weeks. We’ll roll out the red carpet for you as you attend our 3-day Leadership Camp at the Gold’s Gym Support Center in Dallas, TX. Spend time with our executives, senior leadership team, and support Team Members.